Alright, so we are back in the synoptic gospels this week. 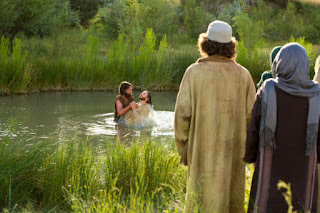 Since I focused a lot of John the Baptist and his role last post, I am going to talk more about the actual practice of baptism here. Each of these chapters cover the baptism of Jesus. Only Matthew says it was “to fulfill all righteousness” (Mt 3:15). The manual for individuals and families has a section on this, and suggests we read 2 Nephi 31 on this topic as well. 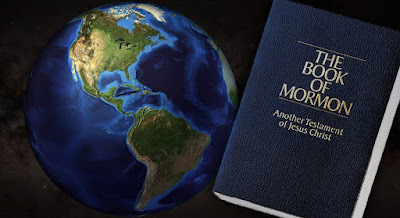 But before we get into the Book of Mormon, it’s worth looking at what this would have meant in its original New Testament context—i.e., in the context of first century Judaism. In Second Temple Judaism, ritual washings by immersion were widespread. I haven’t been able to find a good source for just how early we have evidence for this, but it seems to go back to at least the beginning of the first century BC. These were performed in ritual baths known as miqveh, or plural miqvaot. In their Jewish context, these washings were not, originally, about cleansing from sin, but rather for obtaining ritual purity. Gentiles who converted to Judaism then (and still today) were ritually immersed (you could say “baptized”) so they could be ritually clean when they became part of Israel. The idea that ritual immersion cleansed one from sins, however, was not a Christian innovation. Jews at Qumran, and likely elsewhere as well, were associating ritual immersions with acts of repentance and cleansing from sins before the rise of Christianity. So, in sum, you did not have to sin to need baptism (or ritual immersion) in the first century Jewish world, and it was requisite of entering the most sacred space (the temple). Now think about Jesus’s baptism: just as ritual immersion cleansed those who prepared to enter into the temple (and into the symbolic presence of God), Jesus’s baptism literally parts the veil—in Mark the heavens are explicitly “torn open” (σχίζω, Mk 1:10)—allowing the Father to speak directly to him: “Thou art my beloved Son, in whom I am well pleased” (Mk 1:11; cf. Lk 3:22; Mt 3:17). Still, the ritual immersions (baptisms) performed by John the Baptist were specifically referred to as baptisms of “repentance” (Mt 3:11; Mk 1:4; Lk 3:3). I plan to dig into what repentance meant a bit more next week, so I am not going to flesh this out now, but I’ll just say that repentance did not just have religious connotations, but political ones. And in essence, what it meant was to submit. To forfeit one’s own agenda to that of a higher authority. In a gospel context, then, that higher authority is God. That Jesus’s baptism signaled his submission to God’s agenda (or will) is made clear by the fact that the act pleases the Father (Mk 1:11; cf. Lk 3:22; Mt 3:17). The Jewish practice cannot be traced as far back Nephi’s day at this point, but for Latter-day Saints, at least, this passage in the Book of Mormon maybe an indication that some form of ritual immersion was known in pre-exilic times. As we follow the example of Jesus, we, too, demonstrate that we will repent and be obedient in keeping the commandments of our Father in Heaven. Anyway, perhaps this felt a bit like getting to the “typical” answer by going the long way. To that, all I’ve got to say is that sometimes it’s worth going the long way; you learn more that way. In any case, I hope these musings were not totally worthless to you as you begin your own study of Jesus’s baptism and the other interesting events recorded in Matthew 3, Mark 1, and Luke 3. While today we (and most other Christians) do not tend to practice rebaptism (except in cases of excommunication), we do still recognize that your baptism does not make you clean once-and-for-all. But for us the sacrament takes the place of rebaptism (or re-immersion). EXCELLENT!! Great insights that helped me springboard other thoughts about Christ's baptism. Thank you!